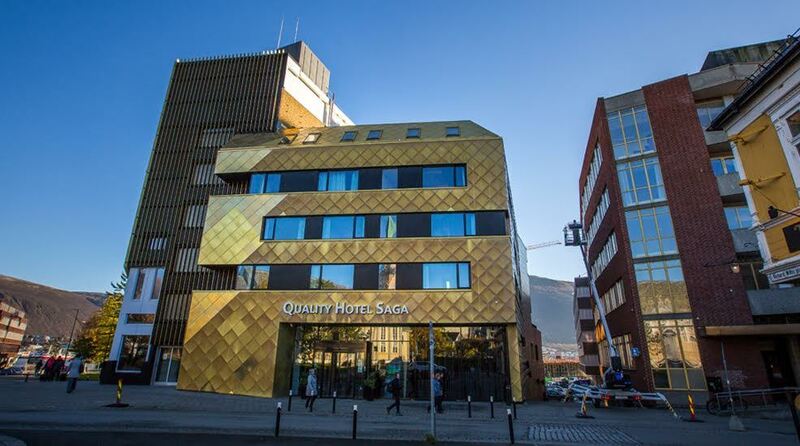 Below you'll find useful information for those of you planning a stay at the Quality Hotel Saga. Please don't hesitate to contact us in case you have any further queries. Those of you arriving by car can park in the hotel garage on the lower ground floor. You can park here for 180 NOK/24h. Pets are always welcome to stay with you in your room for just 200 NOK per stay. Just make sure to notify us at the time of booking, so that we can allocate a pet-friendly room to you. Would you like to keep your room a little longer on your departure day? Then please contact the reception and we'll tell you more! No problem! There are a range of toiletries and other items available for purchase in the reception. Need something we don't have? Just let us know and we'll help you get it. The Quality Hotel Saga is a cash-free hotel. This provides a safer working environment for our staff as it reduces the risk of theft and burglary. It also means that we have more time to spend on taking care of our guests. For guests it means faster and more secure payments. We accept all major debit and credit cards. Please contact us for more information.